In an opinion piece published in the Philadelphia Daily News, Terry Rey, associate professor and chair of the Department of Religion at Temple, shared his thoughts on Haiti in light of the recent earthquake. 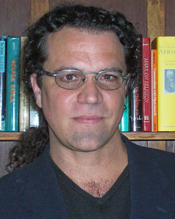 Professor Rey specializes in the anthropology and history of African and African diasporic religions. His current research projects focus on Haitian religion in Miami, violence and religion in Central African and Haitian history, and religion on Fifth Street, Philadelphia. He has lived lived ten years of his adult life in Zaire and Haiti. HAITI WAS born out of a struggle far greater even than this – and will survive the horrific tragedy of Tuesday’s earthquake. Haitians are a resilient and creative people of deep religious faith and national pride. In 1804, their ancestors accomplished something that no other people in world history ever have: a successful national slave revolt – succeeding where Spartacus failed. It is a victory for all of humanity to celebrate: A revolution committed to a fuller ideal of freedom than either that of the American or French revolutions. Though overwhelmed with sadness, I am ever hopeful for Haiti. Many have died and others are grieving and suffering terribly, and this is lamentable beyond words – but in their name and in God’s, Haiti shall overcome.